ResMed's Mirage FX Masks (including the Mirage FX and Mirage FX For Her) are a true leap forward in nasal CPAP mask design. With only four parts (including the headgear) it is hard to imagine more simple nasal mask designs. It is also hard to imagine designs more sophisticated or state of the art. The Mirage FX is built around a streamlined, lightweight, durable frame strong enough to stabilize the mask on the face, yet soft enough to accommodate user movement during sleep. The mask's integrated, flexible, winged forehead support moves and stretches with the user to provide a dynamic range of fit and adjustment. Mirage FX's dual-wall, Spring Air cushion is coated with soft-touch frosting to provide comfort and even pressure distribution. 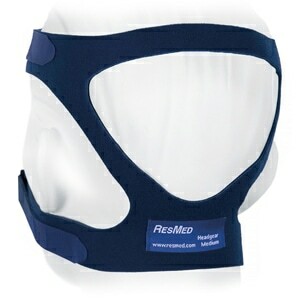 The unique design provides an even softer texture and removed undercushion at the nasal bridge to reduce the pressure, soreness, irritation and discomfort commonly felt in this senstitive area. At the front of the FX's Spring Air cushion is an in-moulded vent ring that disperses air gently and quietly away from the user and bed partners. ResMed has developed a unique textile composition specially for the Mirage FX's headgear. The materials used are soft, flexible and breathable, improving comfort and support for users. The headgear's form-fitting design springs to life, ready to fit and wear. 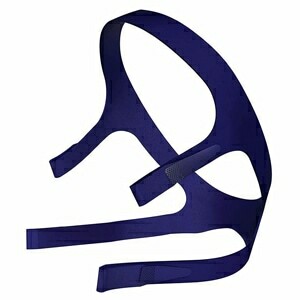 The SoftEdge straps have rounded, seamless edges to reduce touch points, marks and discomfort. SoftEdge headgear is available in two sizes and colors -- Standard Gray, Small Gray, and Small Pink. Mirage FX's squeeze-tab elbow makes it easy to attach and detach from the mask frame with just one hand. 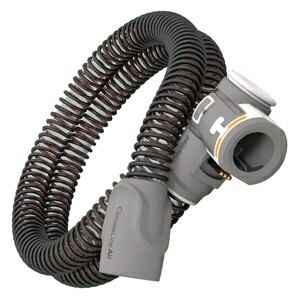 Tubing can also be attached to the elbow prior to the elbow being attached to the frame. This eliminates the hard snap of a swivel and pushing into the face. Overall the revolutionary Mirage FX is easy to fit, wear, clean, and adjust. 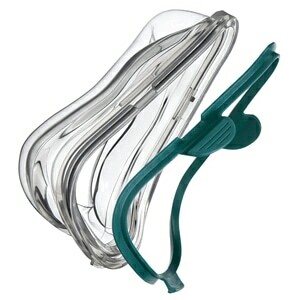 Their streamlined and unobtrusive design can help new CPAP and BiLevel users overcome the physical and emotional barriers to accepting therapy; and more experienced users will love the soft, easy fit and the amazing experience of wearing a truly ultra-light (less than 2.5 ounces including headgear) mask. 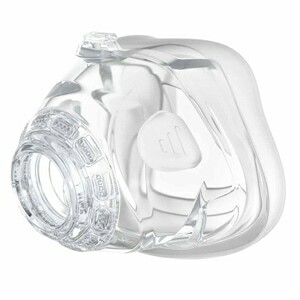 Mirage FX masks are available in three sizes -- small, standard and wide. The standard is designed to fit most users. The wide mask is designed for users with wider nasal features, and the small mask is designed for users with more petite nasal features. I love this mask. Always what I buy. Quality materials, good design, shipped quickly and safely. Product was delivered in a timely manner and arrived exactly as described. Fits perfectly and I'm pleased as Punch! I like this mask. Less leaks and is more comfortable since I'm a side sleeper. nice mask that feels better made than my original mask. good straps for securing the mask to my face to stop air leakage. This is the best "over the nose" mask I have used. There is no leaking of air around the edges to disturb my sleep and it is so small on my face that I don't feel overwhelmed and go off to sleep. I can even watch TV with it on! I decided to take a chance on trying out this mask. I liked the minimalist style and yet it seemed to be more of a mask than some that are designed in this fashion. I tried it out for a week and then happily went back to my old mask. I was tired out at the end of the week. It was the right mask, but it was leaking way to much and was never really going to fit well. Perhaps this would be a good mask for someone, but I am not that someone. There was no sense of this "floating" on my face. I had to tighten it too much to try and keep it from leaking. Not a good experience. Love this nasal mask. I am very difficult to fit due to paralysis and nerve damage in my face from GB Syndrome. I love it. I'm a very active sleeper and have no problems with pressure areas or air leaks. Can't use my other mask I used to love before this one.